Since 2014, we have been working on designs for a remarkable new home on the shores of Loch Tummel, in the Perthshire highlands. 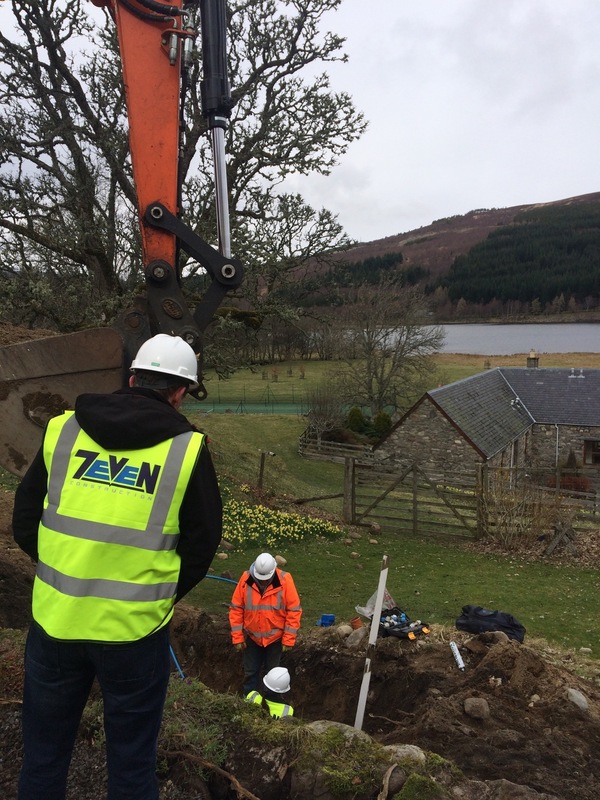 We are now thrilled to see this project start on site, led by main contractor 7even Construction Ltd. of Aviemore. Work is commencing with the demolition of the existing farmhouse and adjacent outbuilding, re-routing of services, and the erection of a new outbuilding to the south of the main house site. We then anticipate being on site until summer of 2017. Be sure to visit the on-site blog for regular updates on progress.